This substantial three bedroom end terrace house will make a fantastic home. It requires modernisation and offers a world of potential so is a must view to appreciate. There are tow spacious reception areas leading into the kitchen. This opens onto the private rear garden. Upstairs has three bedrooms and a family bathroom. This property will sell quickly so is a must see straight away. Please call Entwistle Green today. Double glazed front door opening onto garden. Double glazed front bay window overlooking front. Radiator. Double glazed window overlooking rear garden. Carpeted flooring. Radiator. Fitted kitchen. Double glazed window overlooking rear garden. Double glazed back door to garden. Combi boiler. Doors leading to all rooms. Loft access. 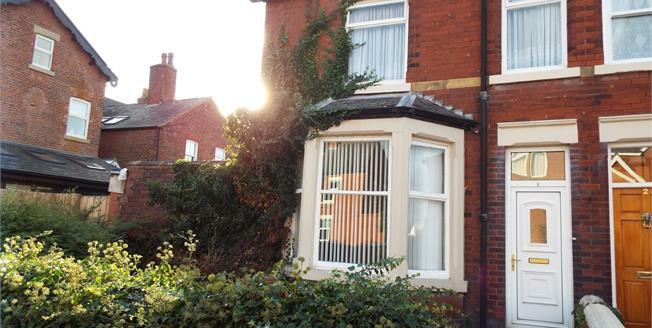 Double bedroom with fitted wardrobes and two double glazed windows overlooking the front. Radiator. Double glazed window overlooking the rear. Radiator. Panelled bath. WC. Pedestal Sink. Single enclosed shower.